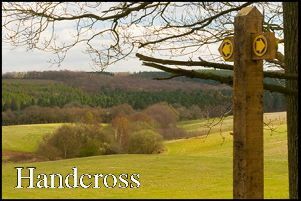 FOOTPATH SOCIETY WALK: 4.5 miles, this Sunday (May 20) starts at 2.30pm. Meet at public car park bedside Onslow Arms, Loxwood (B2133, Map Ref: 042 311). Possible lunch at the Onslow Arms. For more details call Sue and Robin Akers on 01273 891701 or 07775423361. ZUMBA WITH LUCY: takes place every Wednesday at the Scout Hut from 7pm to 7.45pm. It is a fun, friendly class suitable for all abilities. Classes are £5 pay as you go with a weekly raffle to win a free class. No need to pre-book you can just arrive and join in. For more information contact Lucy at zumba_lucy@outlook.com. DOUGHTY’S: a leading supplier of fabrics including patchwork and quilting is holding their East Sussex Road Show at the village hall on Saturday June 9 from 10.30am to 2.30pm. Entrance costs £1. This event is being organised by the St Peter & St James Hospice Support Group. There will be refreshments and a tombola. NEWICK & DISTRICT NADFAS: meet at the village hall on Tuesday June 12, at 2.15pm, and the subject will be ‘Food Art and History’. The lecturer Tasha Marks is the founder of AVM Curiosities and Exhibition Curator, with AVM standing for ‘Animal, Vegetable and Mineral’. It was founded by food historian Tasha Marks in 2011 the year after she graduated from Sussex University. AVM Curiosities has been exploring the relationship between art and the senses through a series of events and edible interventions. Confectionery is also one of her great passions. From ancient alabaster ruins crafted from sugar to a Victorian Afternoon Tea at the V&A the lecturer will take you on a delicious journey like no one else. The lecture will be accompanied by a superb digital presentation. The cost is £7 for non-members and if you need any further information please contact our membership Secretary Ann McNorvell 01825 721458 or newickdfas2017@gmail. WOMEN’S INSTITUTE: meet, at the village hall, on Wednesday June 13 at 7.30pm. New members are always welcome. For more details about the group call Val Thompsett on 01273 891256. FLOWER CLUB: meet, at the village hall, on Wednesday June 20 at 7.30pm. Visitors are most welcome at a cost of £3 at the door. There is always a raffle giving a chance to win one of the demonstrators’ arrangements. For more details call Gill Wells on 01273 890561. JUMBLE SALE: takes place on Saturday June 23 at 2pm, at the village hall, to raise funds for Plumpton and East Chiltington Churches. There will be cakes, tombola, toys, books, clothes, bric-a-brac and much more. There will be lots to rummage through so do go along, you may well find a bargain. Donations of jumble will be much appreciated apart from videos as these no longer sell. Please take jumble to the hall from 9am to midday. GARDENS NEEDED: Thanks to all who have agreed to open their gardens for the Open Garden trail, to raise funds for St Peter & St James Hospice, on Sunday June 24. There are some new gardens on the trail this year as well as a mix of interesting gardens that have been open before. It would be excellent to have some more gardens on the trail. If you have a garden in the centre of the village (north of the railway and south of South Road) please do take part. Whether your garden is large, small, formal or the rambling variety it is sure to be of interest to others. If you would like more information before deciding whether to include your garden, in this event, do call Gill Gamble on O1273891218 or Terry Thompsett on 01273 891256. PHOTO QUIZ: will take place along the Open Garden trail on Sunday June 24. The quiz will involve identifying village ‘landmarks’. All the ‘landmarks’ will be visible from the footpaths without the need to go onto other’s properties. The quiz will be open to all ages, with a small prize for completed entries. Entry to the Garden Trail and Photo Quiz costs £5, with under 14s free and the proceeds will help support St Peter & St James Hospice. The garden trail starts at the village hall (BN7 3BQ) and is open from 2pm to 5pm.There will be a tombola and refreshments, at the hall, where there is also ample parking and toilets. For more information contact 01273 891218 or 01273 891256. ‘PLUMPTON ROMAN VILLA: Giving Up Its Secrets’ is the title of a talk by David Rudling at the Stoneywish Visitor Centre, Spatham Lane, Ditchling, on Friday June 29. This will be the chance to learn the latest news of excavations at the Romano-British villa. The footings alone give a fascinating insight into the settlement and the lives of the people who made it their home. Entry costs £7.50 and includes an accompanying exhibition, coffee and a slice of cake. For more details visit www.stoneywish.com.